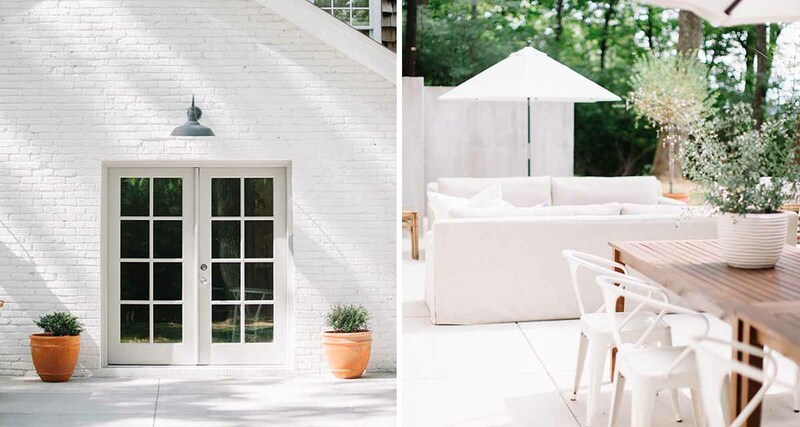 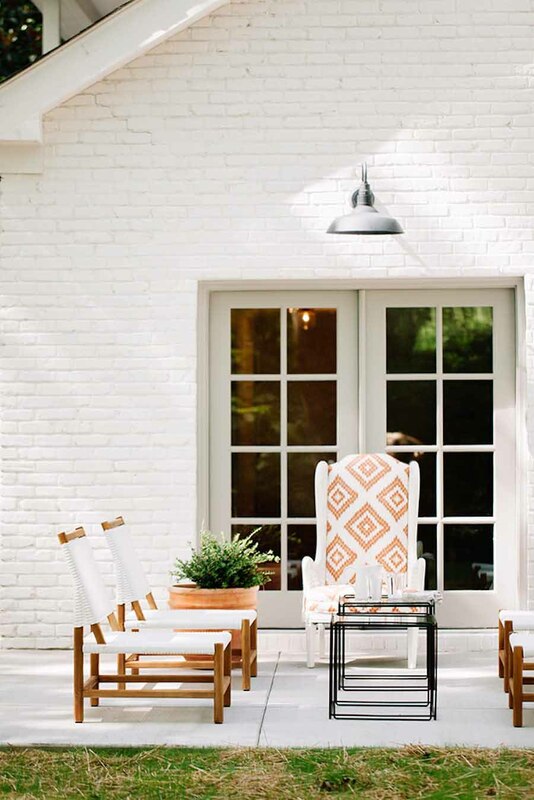 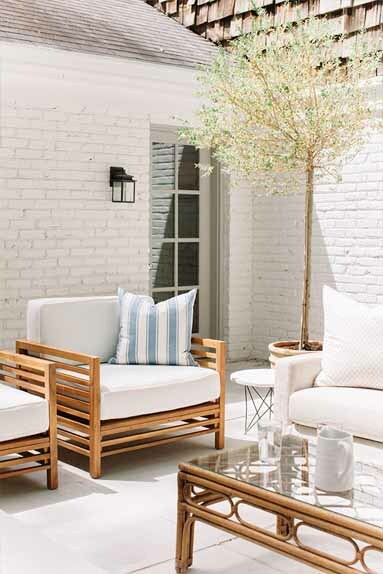 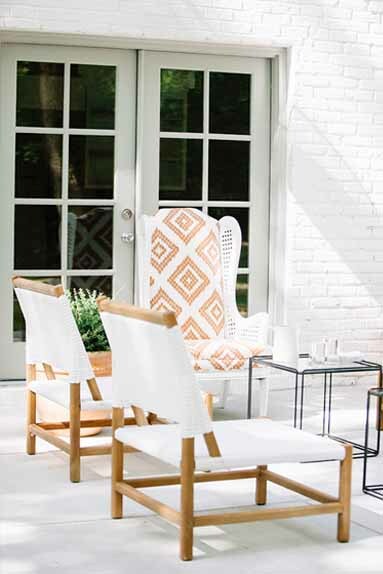 This outdoor living space caught our eye because of the beauty in its simplicity. 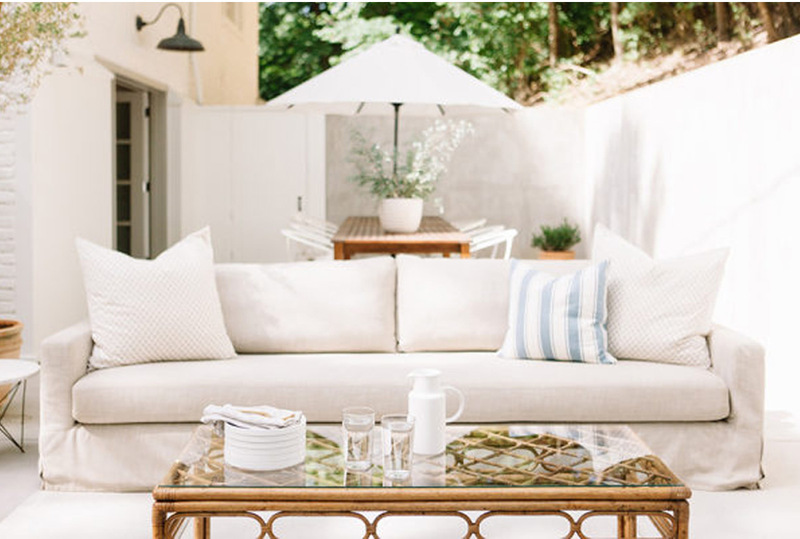 It is one for those spaces that is both well designed and relatable. 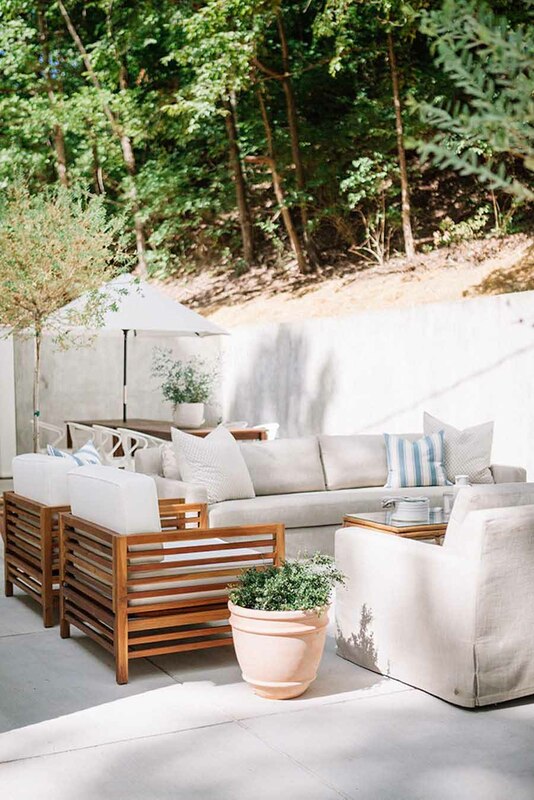 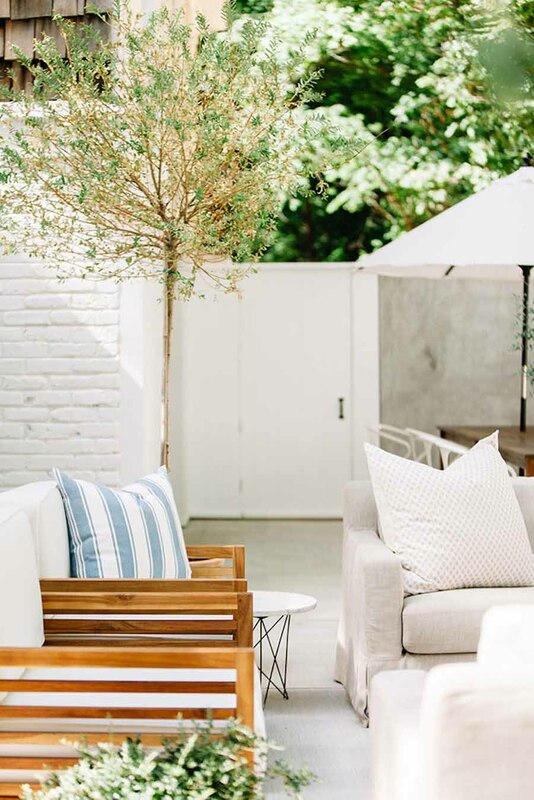 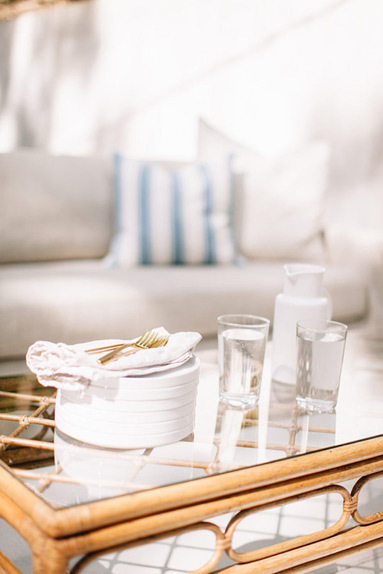 The backyard setting has been transformed using a tried and tested colour palette of white and natural stone, with wood, rattan and wicker elements adding interest to the selected furniture. 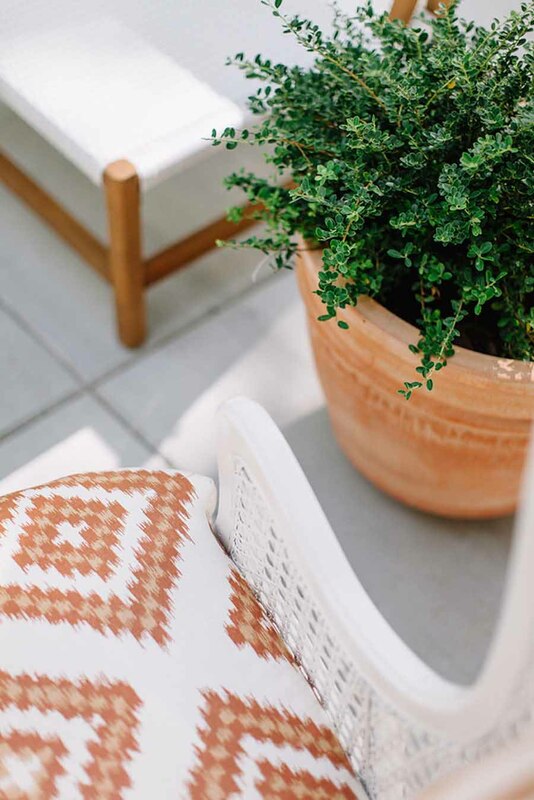 Terracotta pots and a stunning rust coloured ikat pattern add colour interest. 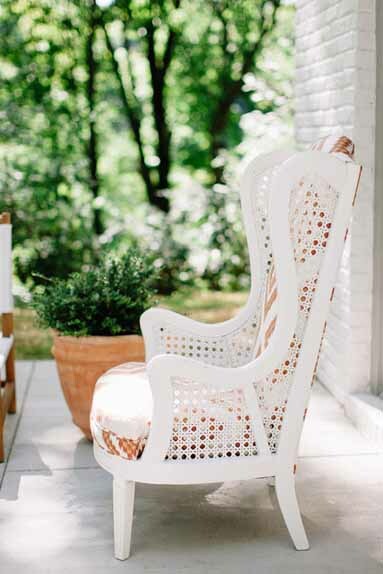 The overall effect is somewhere welcoming and comfortable to spend your days relaxing.